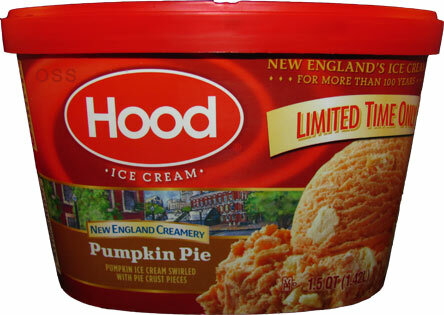 [By Nick, New for Fall 2014] And Hood is the next company to jump on the pumpkin wagon this fall with their latest limited edition flavor. To be honest, I don't have much of an intro for this product. I'm basically all pumpkined out at this point and Halloween isn't even here yet. Let's just get right into this. 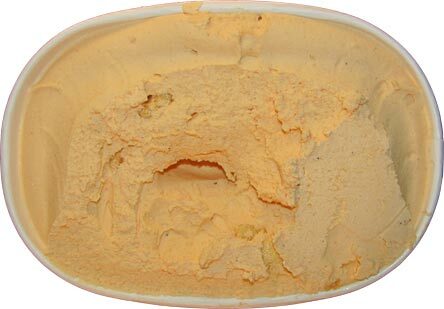 Besides the odd hole created from the ice cream that got stuck to the lid, this looks basically how you'd expect. There really aren't any signs of the pie crust pieces from the get go unless you look really closely. Thankfully, as you scoop down they become more and more common. The pumpkin bases has a nice amount of actual pumpkin flavor to it. Though Hood was a little heavy handed with the spices and the pumpkin easily gets masked by them. The main player is the nutmeg out of all of them which can get a bit overbearing. Thankfully there's a good amount of cinnamon to keep things in check. Now I've mentioned I'm not a fan of typical pie crust and was a little hesitant with picking this one up because of their inclusion. Hood must've known that because this isn't the normal flaky crust you're accustomed to. These bits are more along the line of crunchy, sweetened butter cookies than they are a pie crust and I really like them. They kind of remind me of what I found in Talenti's Pumpkin Pie Gelato textually though there aren't really any crumbly ones like Talenti has. 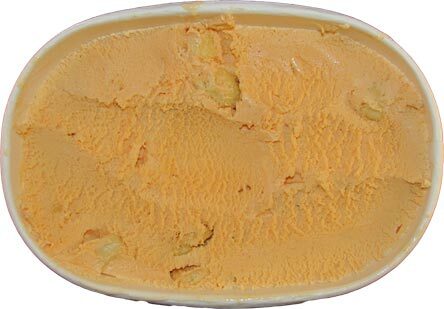 The buttery-ness lends itself nicely to the spices and overall make for a pleasant flavor. The main problem here is that there's really nothing that stands out about this flavor individually or as a whole. 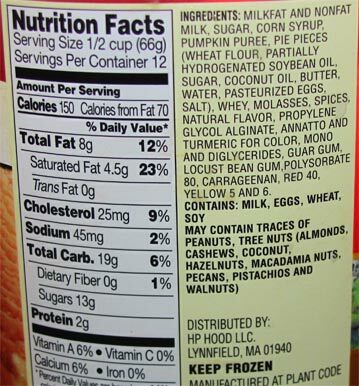 With the abundance of pumpkin products in the freezer aisle, I don't see me ever wanting to pick this up over any of them besides Edy's to be honest. I'd much rather have the excellence of Talenti's or the graham cracker swirls found in both Turkey Hill and Perry's. I'm not saying that this is a bad flavor by any means so don't get me wrong. I'd say give this one a shot and let me know how it compares to the other pumpkin products you've had. Tis the season and all! Verdict? Good but not great in comparison of other pumpkin products.